Jesus’ garments had been divided, Jesus had been taken down from the cross, and he had been placed in a tomb bought for him by Joseph of Arimathea. What a bleak and sad Friday for Jesus, his family, and his friends. 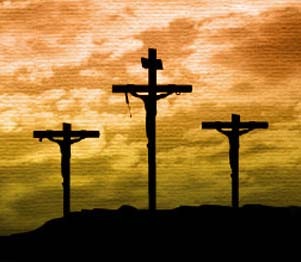 However, as we know, and as we should always remember, it is our “Good Friday”: the day our Jesus (the sacrificial lamb without sin) took on our sins so we could stand before our God cleansed, sinless, and as white as snow.